Amir Nashat is a managing partner in Polaris’ Boston office. Amir joined Polaris in April 2002 and focuses on investments in healthcare, consumer products and energy. Amir currently represents Polaris as a Director of AgBiome, aTyr Pharmaceuticals, BIND Therapeutics (NASDAQ: BIND), Fate Therapeutics (NASDAQ: FATE), Promedior Pharmaceuticals, Scholar Rock, and Selecta Biosciences. 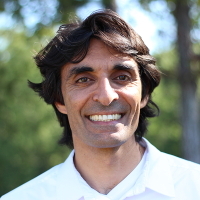 Additionally, Amir has served as a Director of Adnexus Therapeutics (acquired by Bristol Myers Squibb), Athenix Corporation (acquired by Bayer), Avila Therapeutics (acquired by Celgene), Living Proof, Pervasis Therapeutics (acquired by Shire Pharmaceuticals), Sun Catalytix (acquired by Lockheed Martin) and served as a Board Observer of GI Dynamics (GID.AX). In addition to his role as an investor, Amir has also served as the initial CEO of Living Proof (known as Andora at the time), and Sun Catalytix Corporation. Amir serves on the Partners Innovation Fund and is a Catalyst of the Deshpande Center for Technological Innovation at MIT. He previously served on the Board of the New England Venture Capital Association. He has been named to the Forbes Midas list of Top 100 Venture Capitalists.